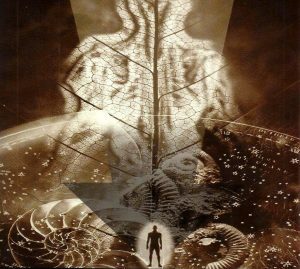 Michael Cremo discusses his books Forbidden Archaeology and Human Devolution, and what they tell us about true nature of human origins, identity and destiny. Over the past two centuries researchers have found bones and artifacts showing that people like ourselves existed on earth millions of years ago. But the scientific establishment has ignored these remarkable facts because they contradict the dominant views of human origins and antiquity. In Forbidden Archaeology, Michael Cremo and Richard L. Thompson challenge us to rethink our understanding of human origins, identity, and destiny. Forbidden Archaeology takes on one of the most fundamental components of the modern scientific world view, and invites us to take a courageous first step towards a new perspective. If Darwinian evolution is not the answer, then this begs the question: “If we did not evolve from apes, then where did we come from?” Human Devolution is Michael Cremo’s definitive answer to this question. “We did not evolve up from matter; instead we devolved, or came down, from the realm of pure consciousness, spirit,” says Cremo. He bases his response on modern science and the world’s great wisdom traditions, including the Vedic philosophy of ancient India. Cremo proposes that before we ask the question, “Where did human beings come from?” we should first contemplate, “What is a human being?” Cremo asserts that humans are a combination of matter, mind, and consciousness, or spirit. Human Devolution contains solid scientific evidence showing how a subtle mind element and a conscious self that can exist apart from the body have been systematically eliminated from mainstream science by a process of knowledge filtration. “Any time knowledge filtration takes place you can expect a great deal of resistance, criticism, and ridicule when it is exposed and challenged,” says Cremo. Michael Cremo is a member of the World Archaeological Congress and the European Association of Archaeologists as well as an associate member of the Bhaktivedanta Institute specializing in history and philosophy of science. His latest book, My Science My Religion, is published in November 2012.